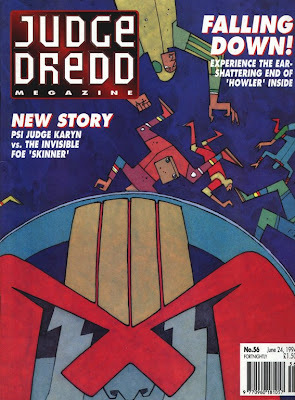 The cover is superb (Jon's best yet?) and illustrates beautifully how Rowen's world has evolved from it's snow covered beginning. 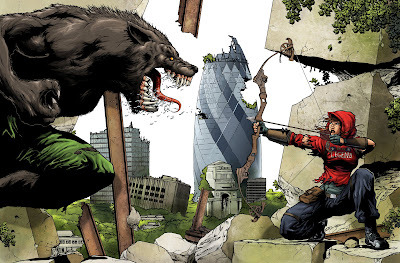 The sequel is set fifteen years after the original where, according the writer Alec Worley, a strange forest is sprouting up from the ruins of London. 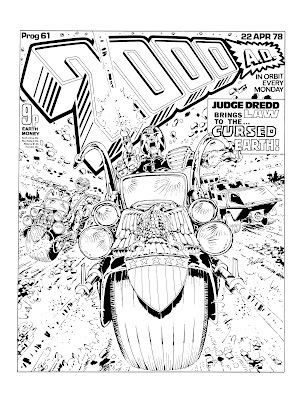 Aaaand finally, the finished cover with a range of light and show effects added. 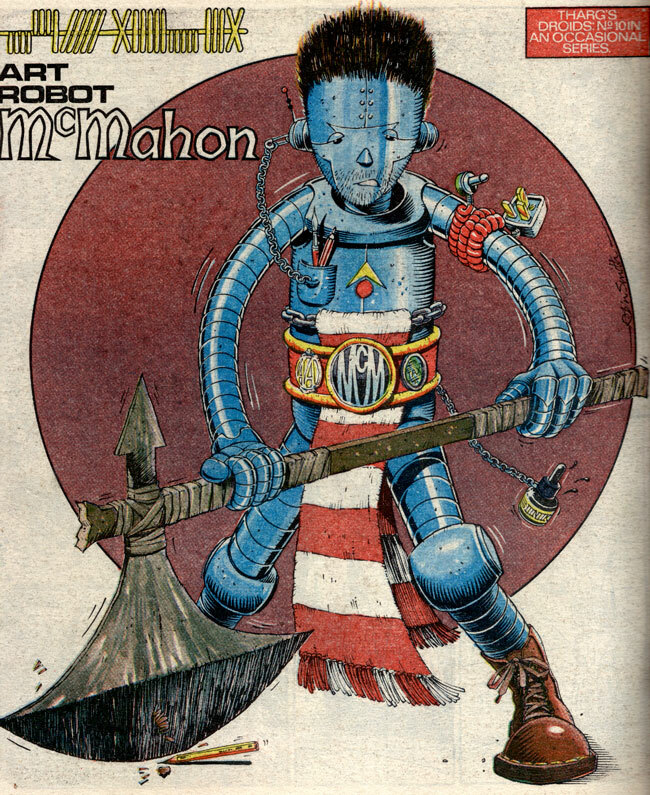 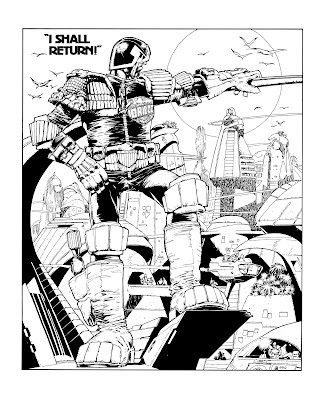 This week saw the triumphant return of the legendary art droid Mick McMahon to the Prog with the fantastic cover above. Mick's story is very well documented so I won't go over old ground. 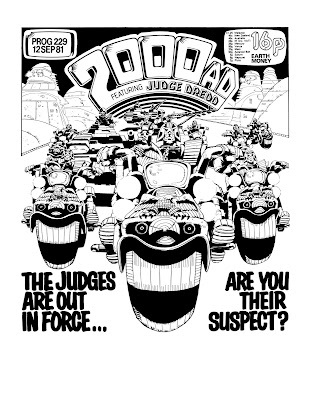 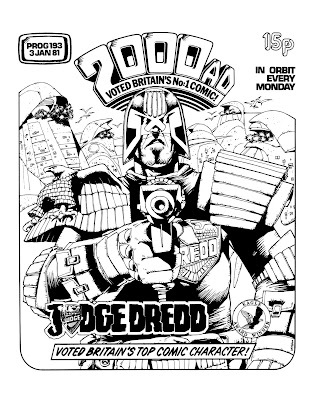 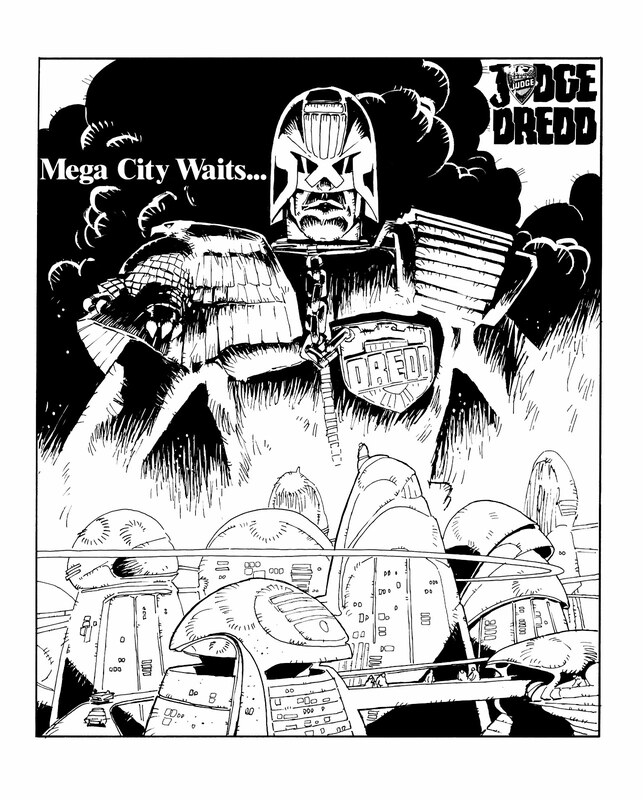 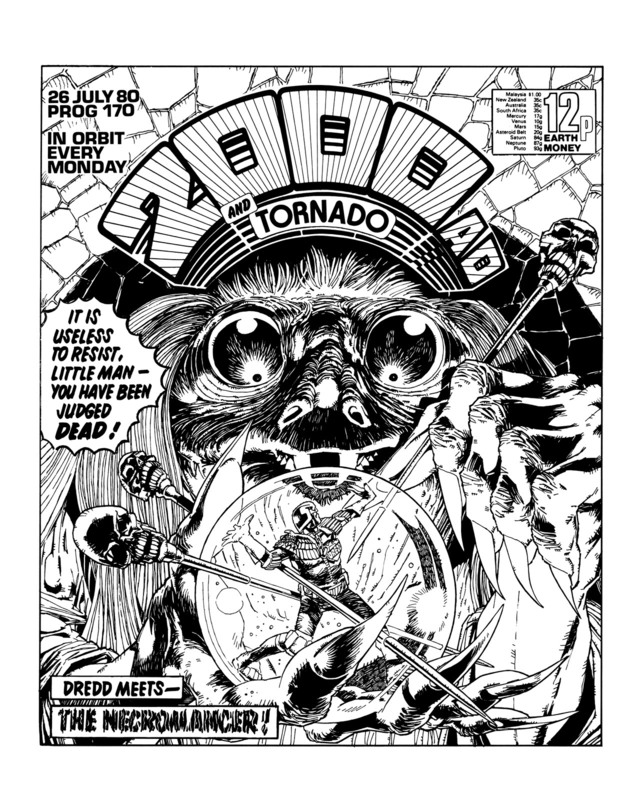 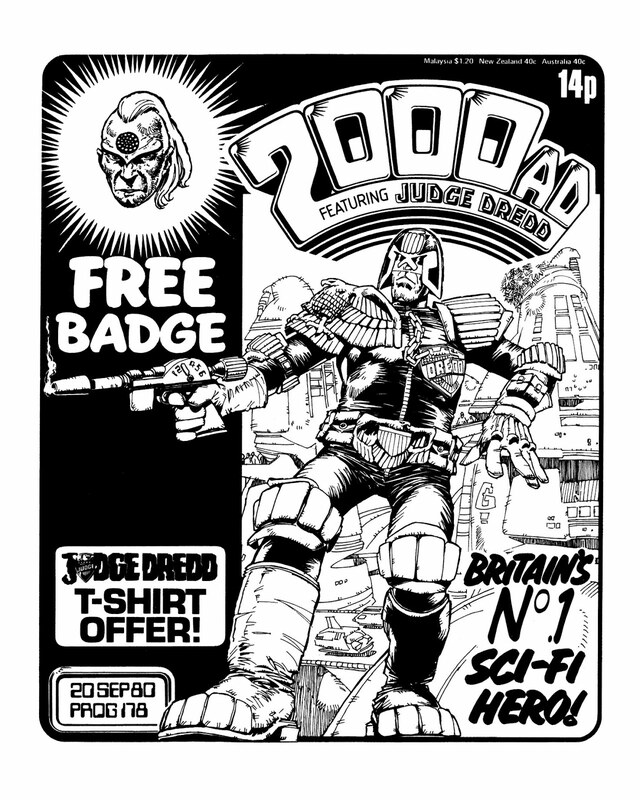 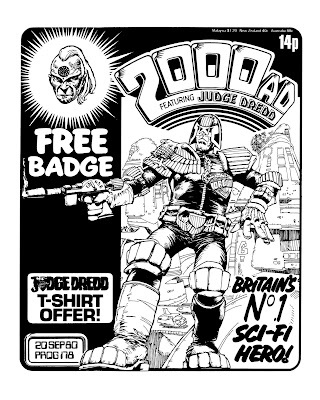 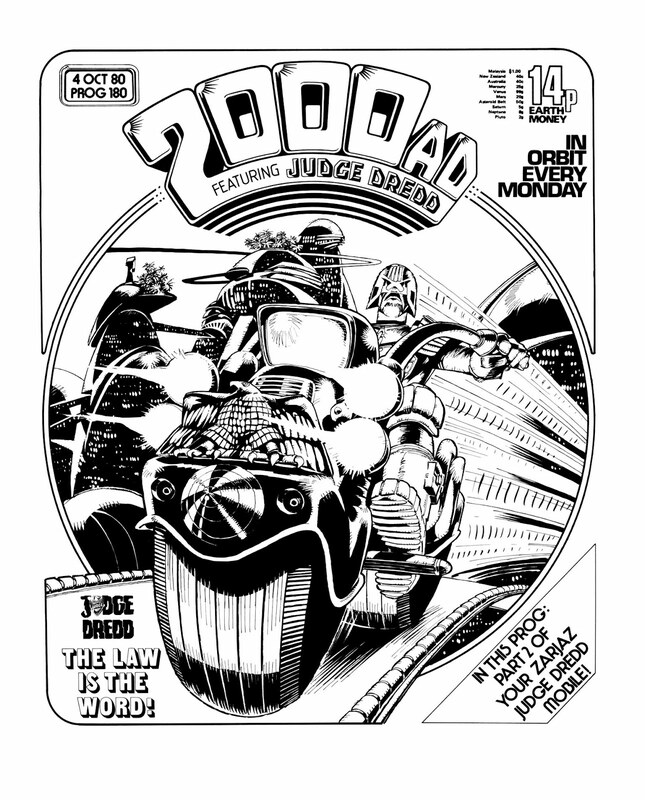 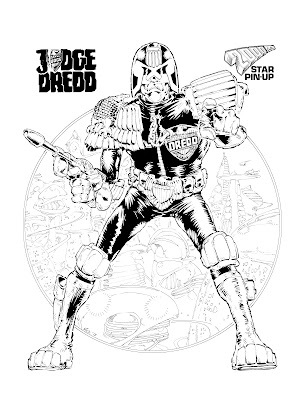 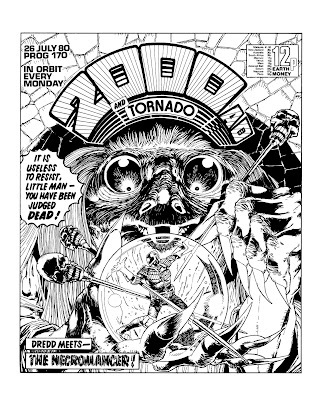 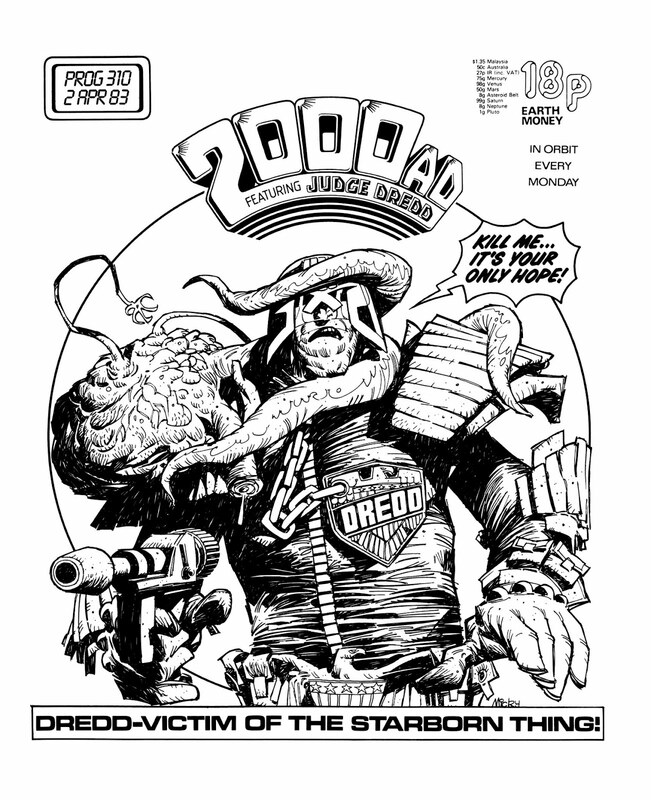 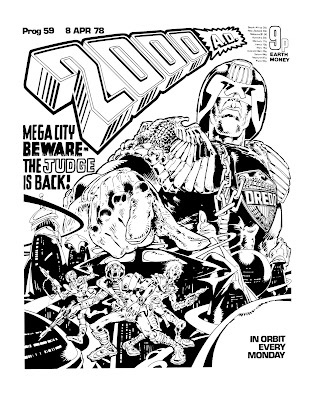 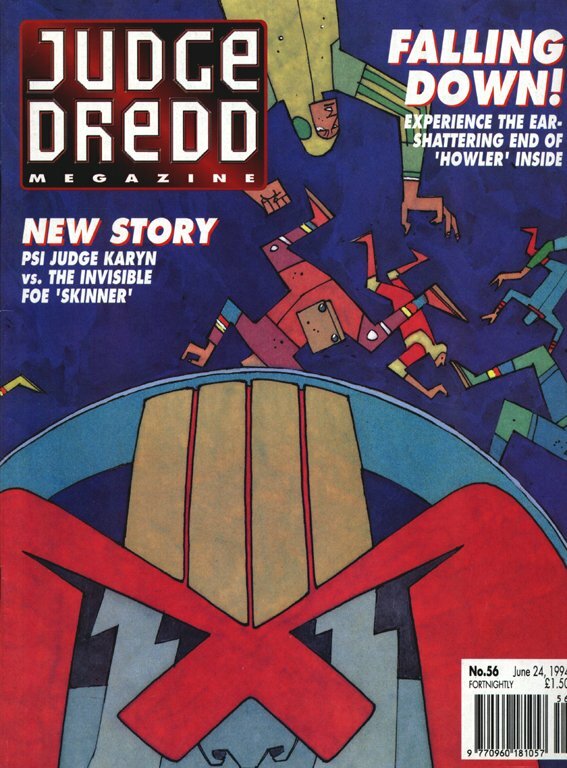 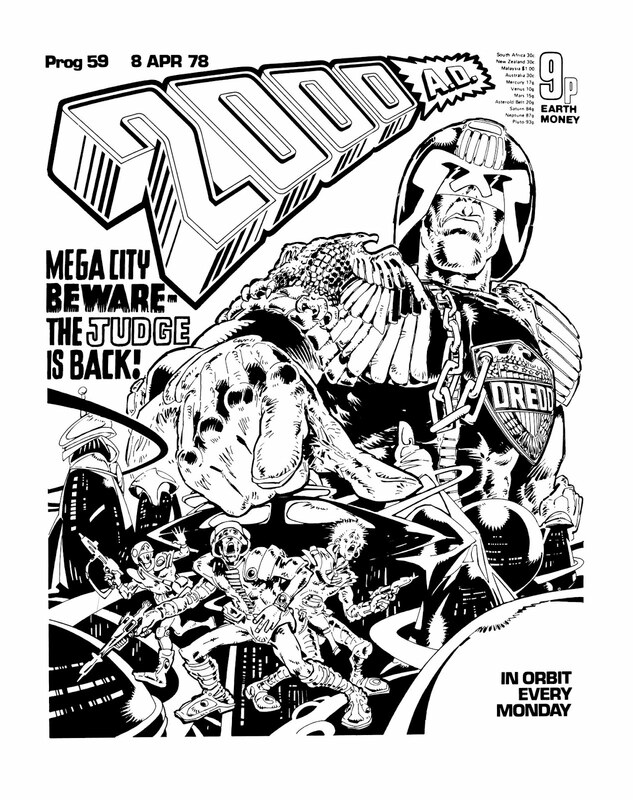 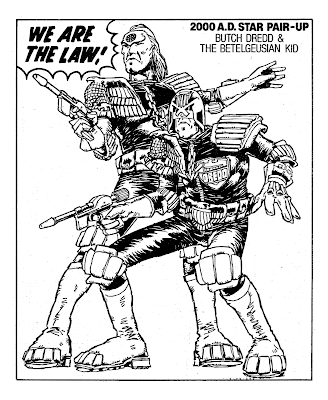 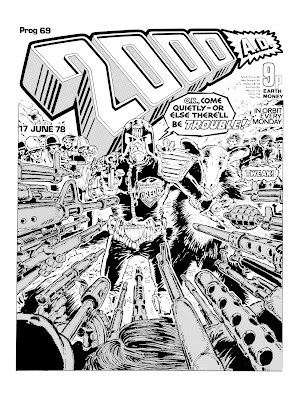 Needless to say, I'm sure everyone reading this is aware that Mick was the artist on the first ever published Judge Dredd story (in Prog 2) and is responsible for much of the look of Dredd and his world. His work is also cited as an inspiration for many, many big name artists working in the industry today. 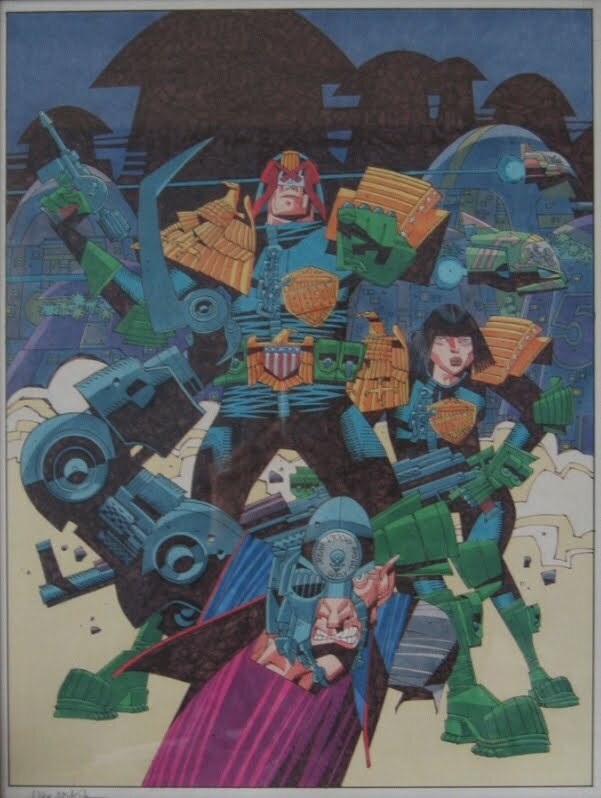 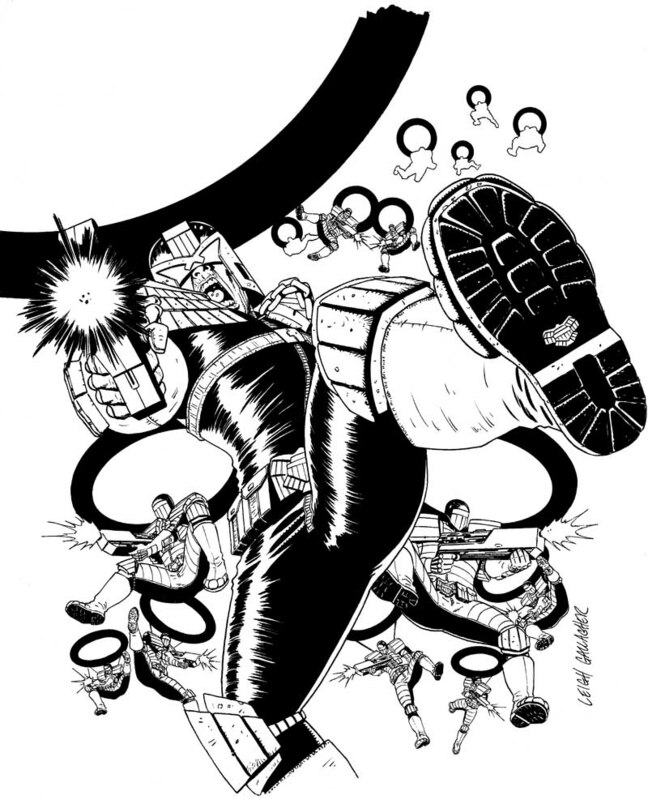 And here is Mick's final Dredd cover (from the first golden age of 2000AD), from the classic Starborn Thing story which saw Dredd become a dad! 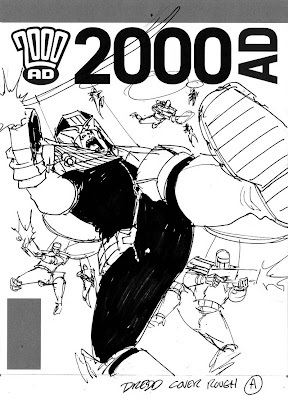 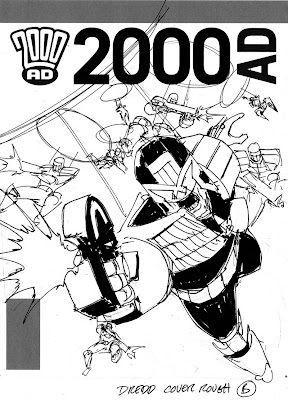 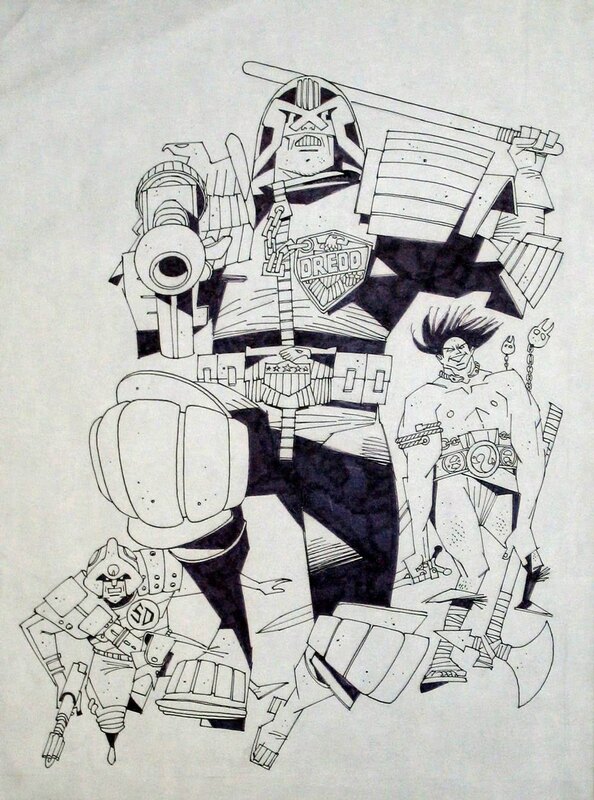 After Mick's much publicised frustration providing the crowd scenes for Blockmania, he quit Dredd and went on to work on Slaine, developing the sinewy, scratchy style hinted at in the Starborn cover above. 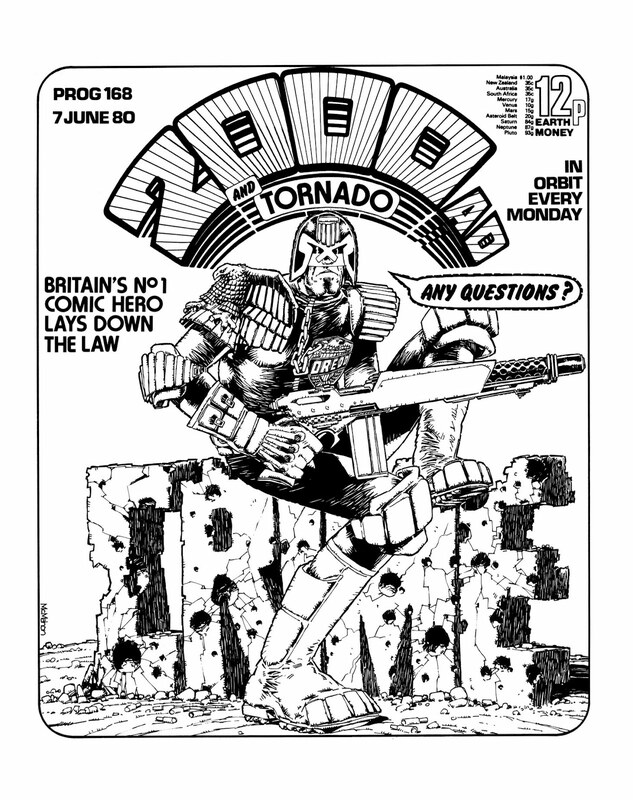 After Slaine, he left 2000AD for a while working for other publishers, ever evolving and changing his styles. 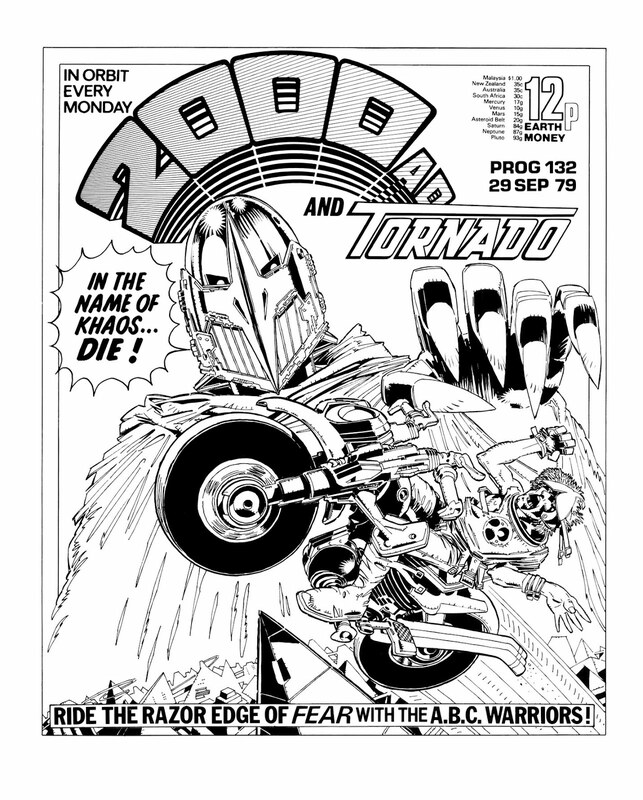 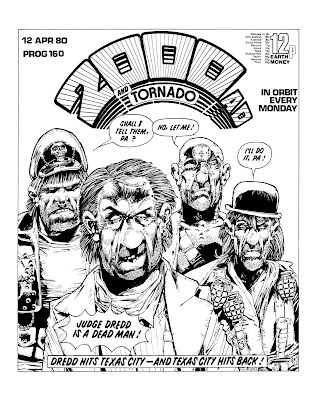 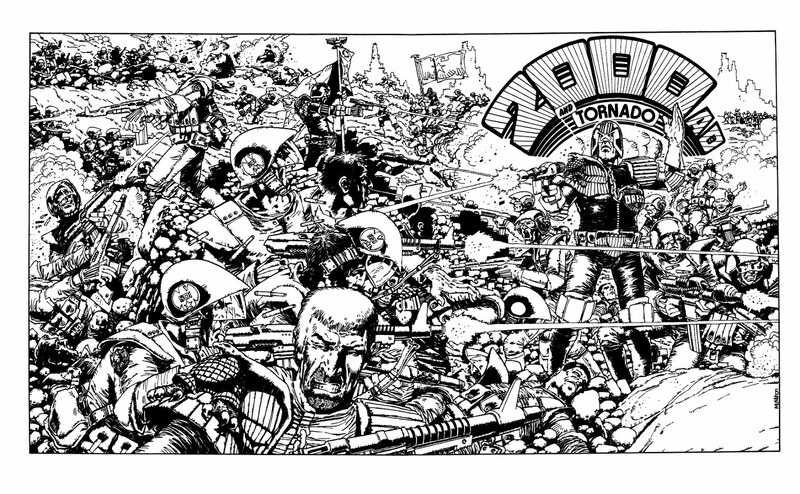 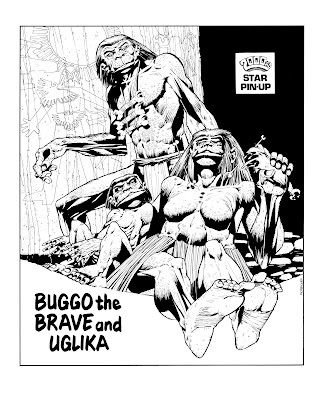 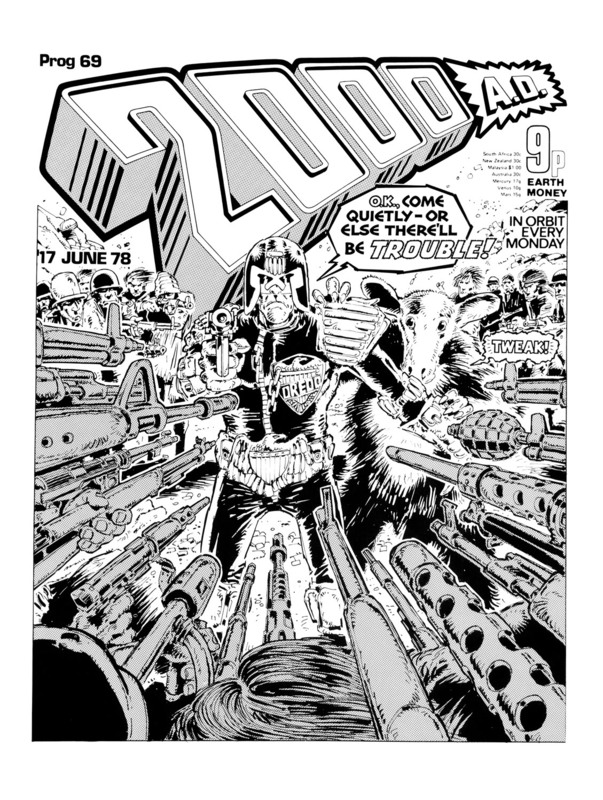 So there we have a potted, very patchy history of some of Mick's cover work for 2000AD - believe me, if I had more I'd show 'em! 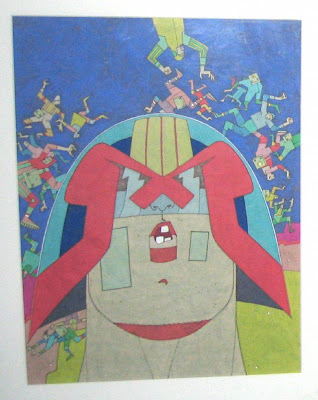 To see more (and even buy some) of Mick's work, go to tuggingyourcoat.com. 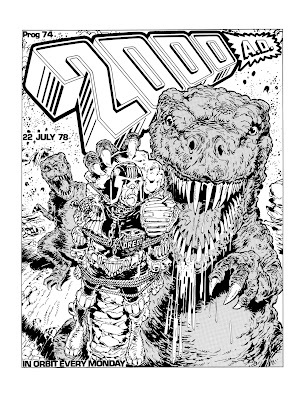 Thanks also to Rufus Dayglo who's amazing comicartfans gallery I've shamelessly plundered for this article! 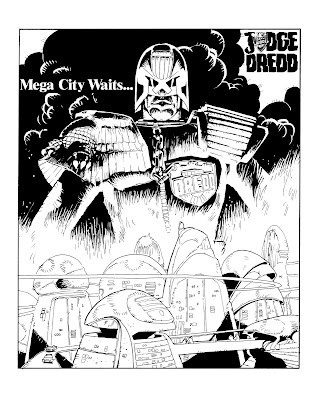 EDIT 1 - Thanks to Steve Green for clearing up that the Dredd Civil War picture (prog 169) was from a post atomic wars spat that MC1 had with MC3/Texas City. It's come flooding back now! 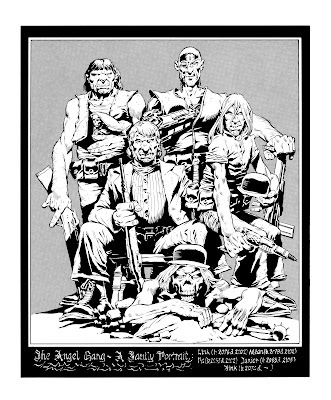 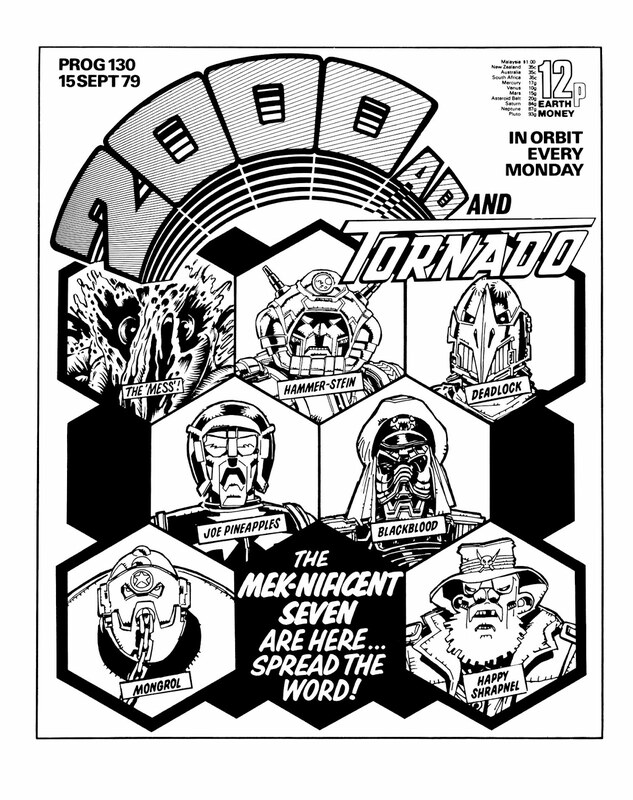 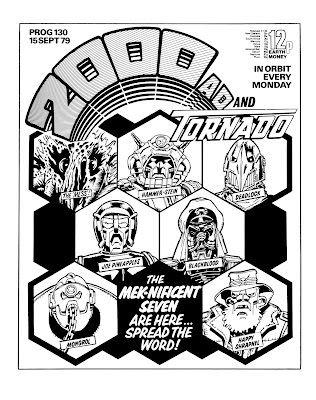 EDIT 2 - Thanks to Jim Campbell for pointing out that The Angel Gang poster was inked and lettered by someone called Dave Gibbons (never heard of him!) The only time Dave inked Mike's pencils. As Jim points out, possibly the most thrill powered artwork in existence! EDIT 3!!! 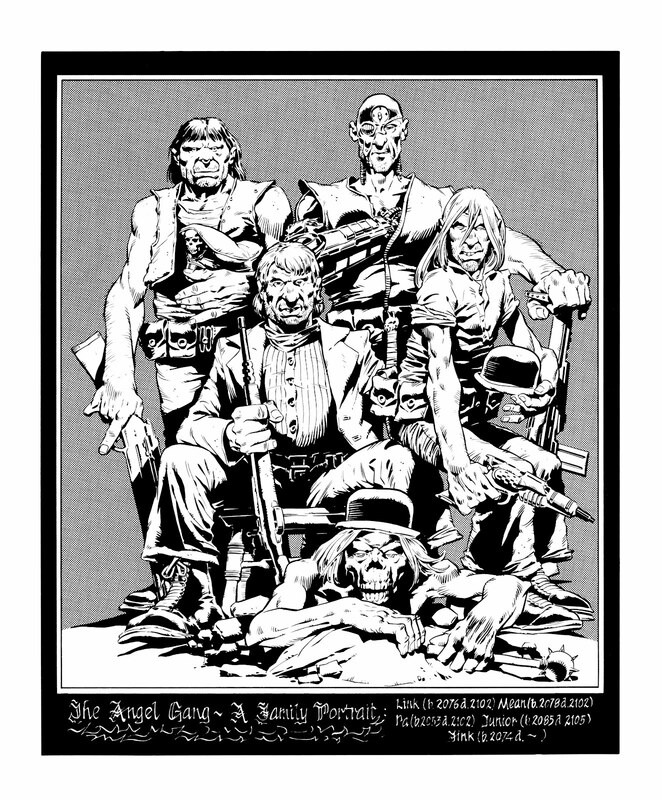 - Thanks to David Rees for getting in touch with Cam Kennedy to do some detective work on the other Angel Gang picture which was apparently done by Cam and not Mick. 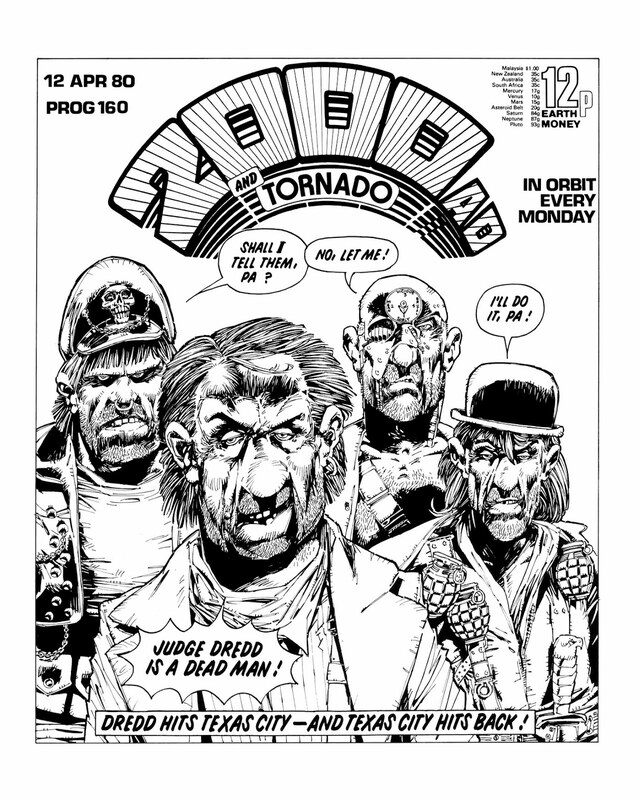 Cam said "From this old fuddled memory I seem to remember the editor askin' me if I could adhere to Mike's style. 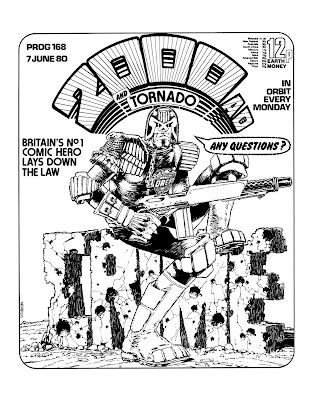 I have vague memories of Mike bein' ill for a period of time and I suppose they were obsessed with continuity..."
It was 35 years ago today, Sergeant Tharg taught his droids to play! 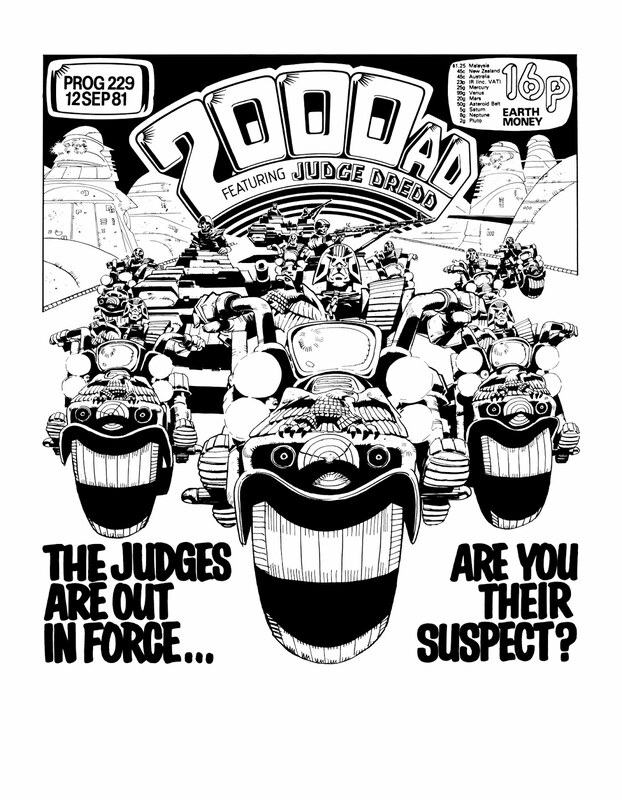 It's been going in and out of style, But it's guaranteed to raise a smile! 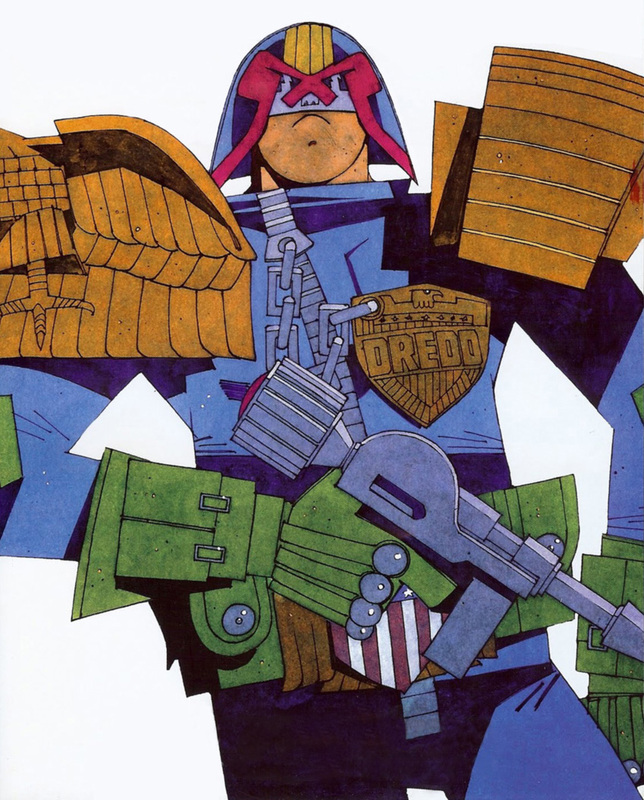 Happy Birthday to the Galaxy's greatest comic, which celebrates 35 years of (almost) continuous publication today! 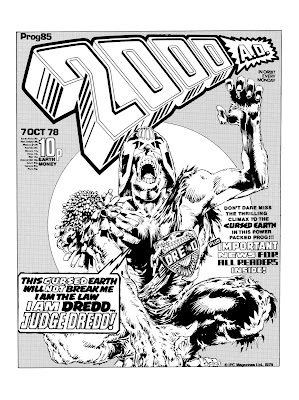 Above, courtesy of Rich from the wonderful ECBT2000AD site, is the second of the variant covers for Prog 1771, the bumper Birthday special. 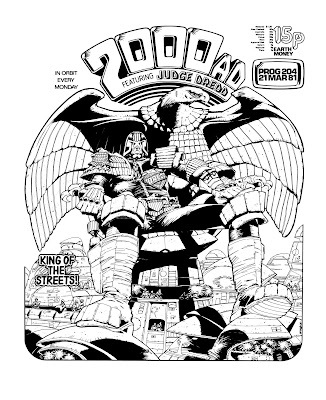 I'm sure I won't have to tell any of you that the cover is by the legend that is Mick McMahon, who was responsible for shaping so much of the Prog in it's early days and has inspired a generation of artists since. 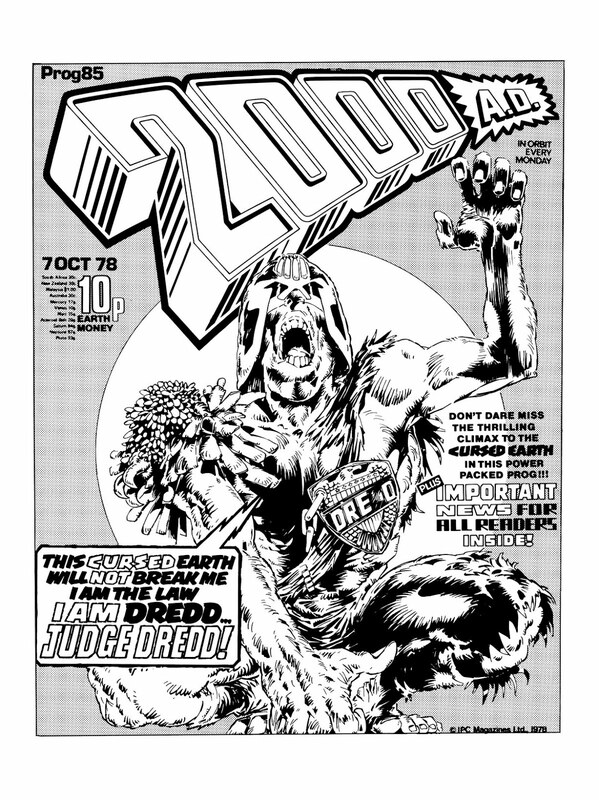 I contacted Mick and he's going to do a feature on the cover on his own brilliant blog, which you MUST see here. 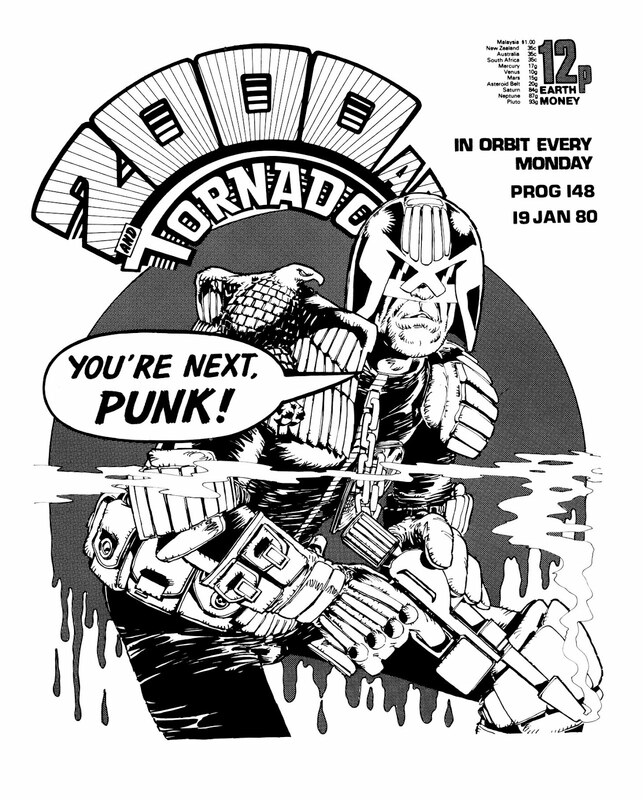 EDIT - Mick has now written the article, you can read it here - Pete. 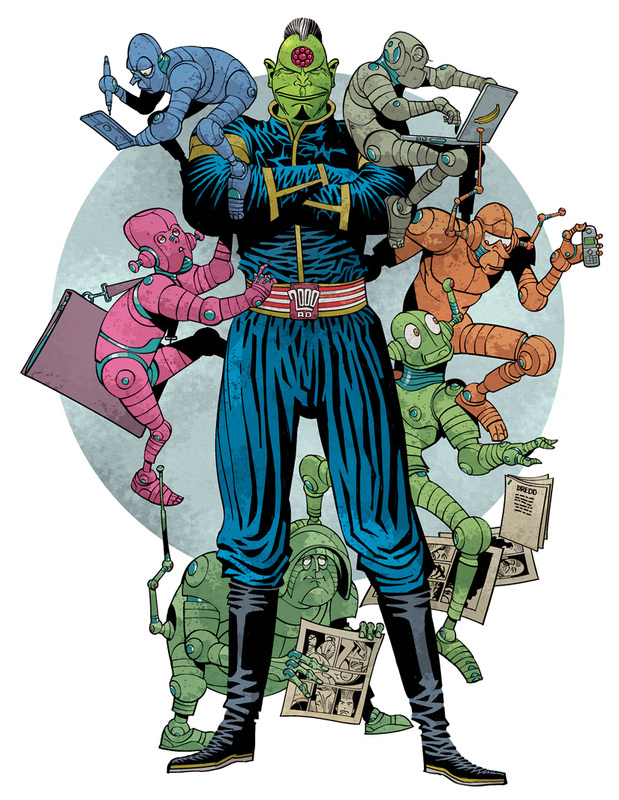 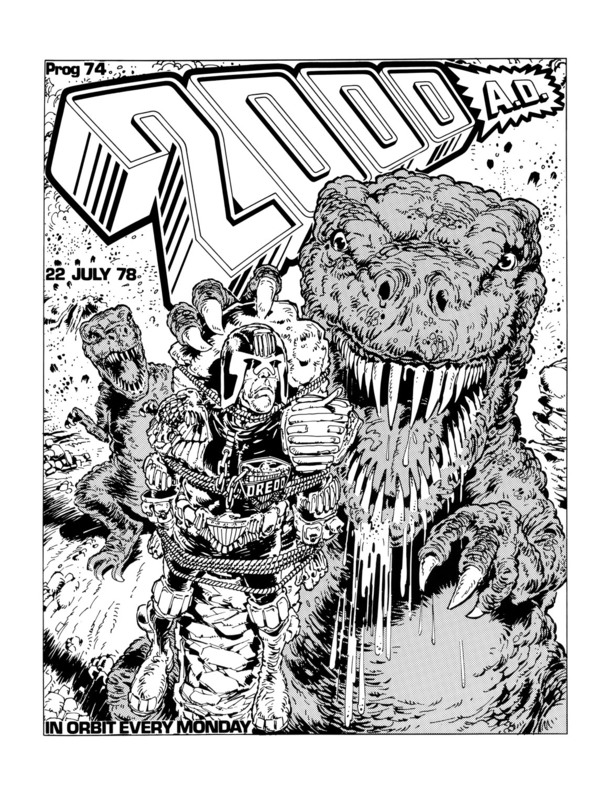 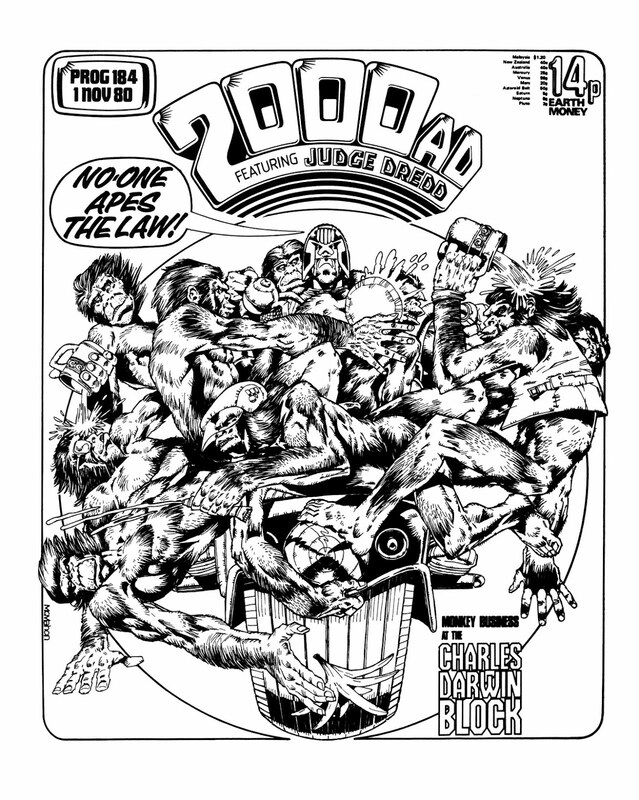 Below is the alternate cover which you also get as a poster, the modern classic that is Chris Weston's love letter to the second golden age of 2000AD. 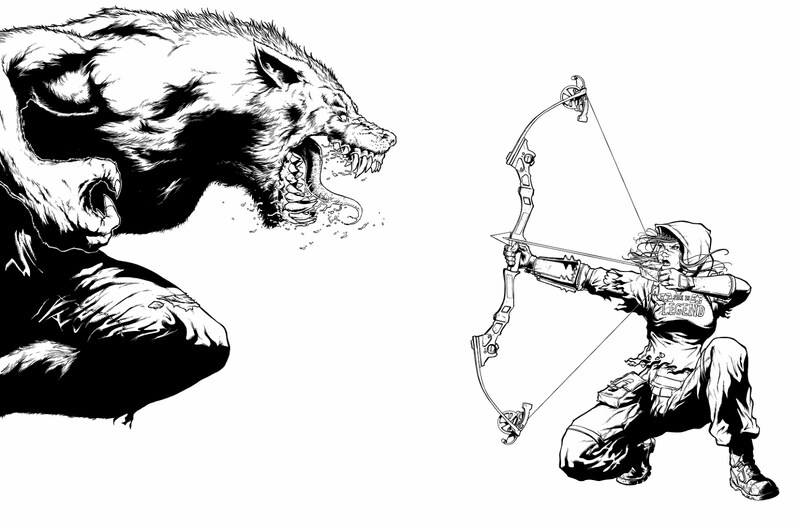 You can read a wonderful post about that here. 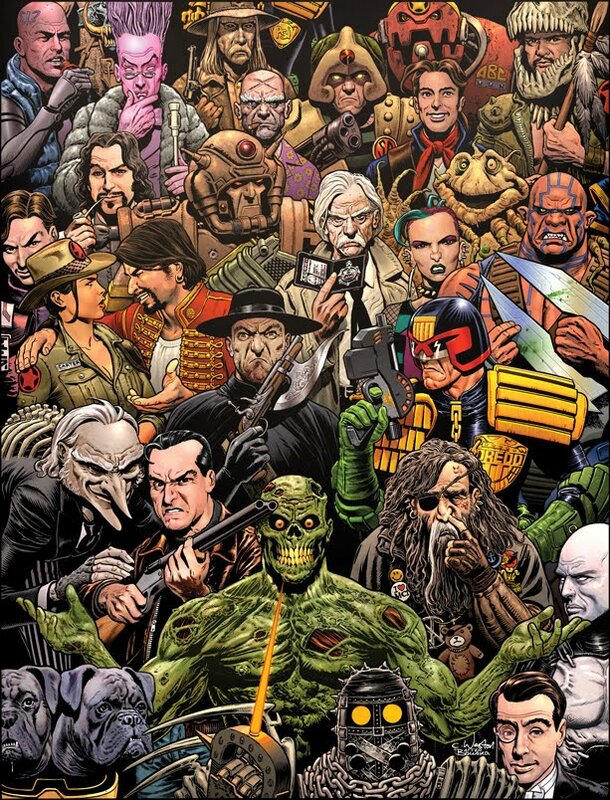 The image below is given away as a poster in the prog so if you don't already buy the galaxy's greatest read, you should definitely do so this week! 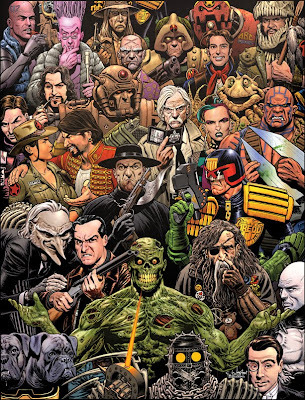 So, Happy Birthday Tharg, here's to the next 35 years! 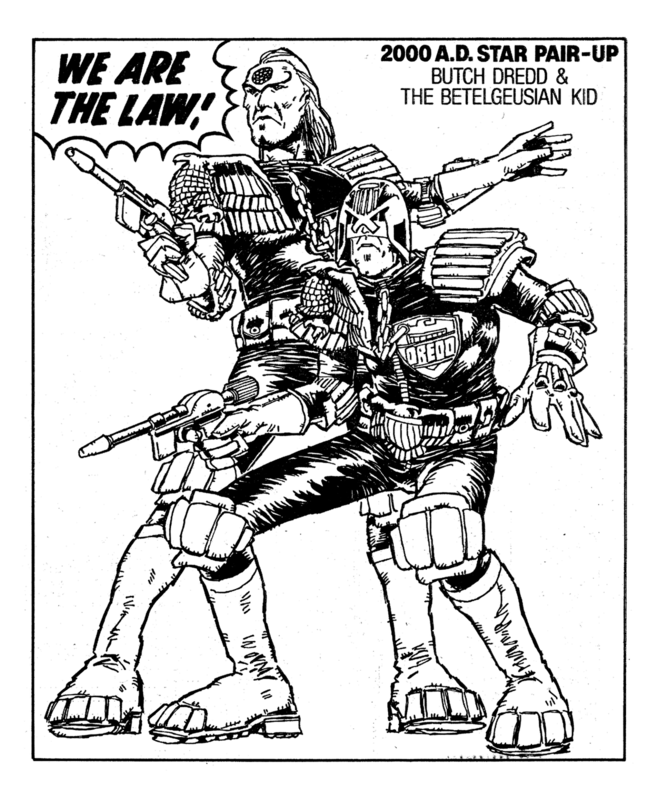 Nothing to see here! 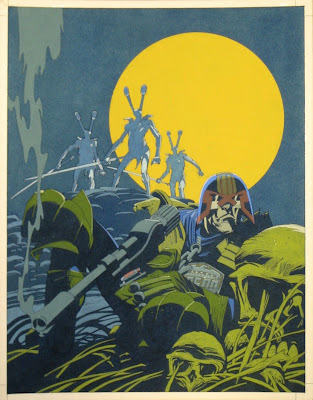 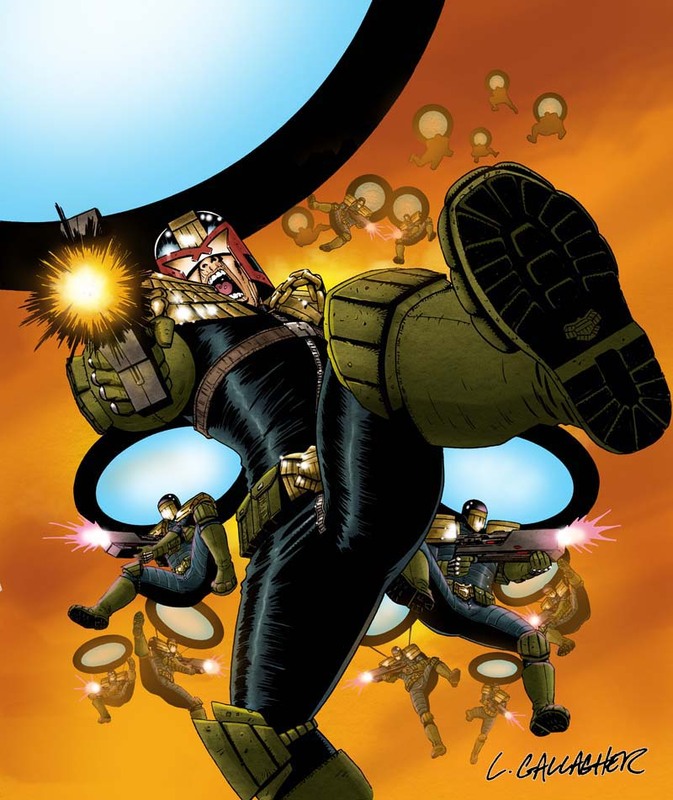 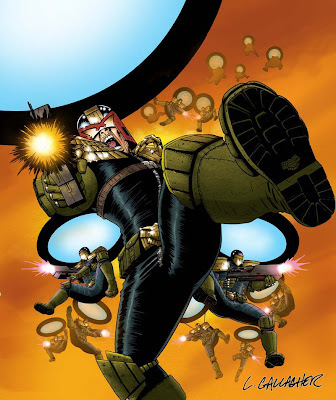 Please, please waste no time in heading over to the brilliant Leigh Gallagher's blog to see how he put together this week's absolutely stunning Dredd cover. 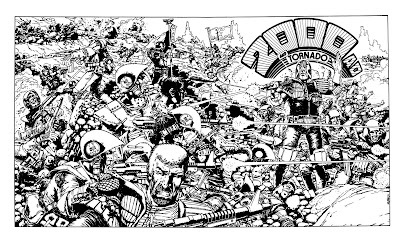 As ever, Leigh tells us the story of the image in his usual hilarious style, giving us a fascinating insight into his work. 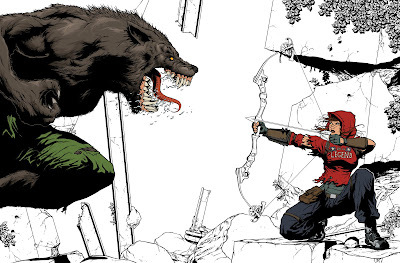 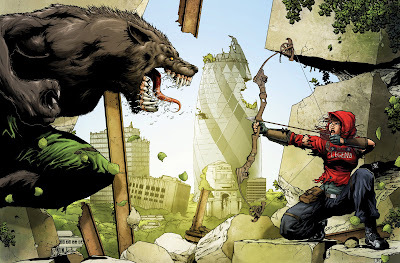 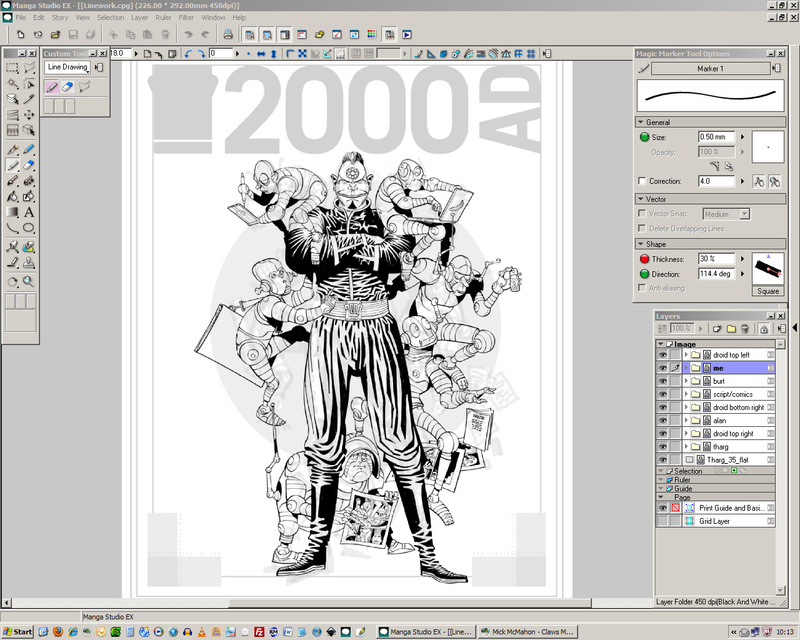 Over on Leigh's blog there's also his pencils, flats, shading work and the rationale for his colouring. 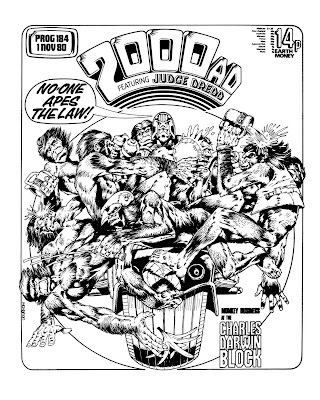 Also, as you'd expect from Leigh, there's a lot of talk about crotches and that old chestnut(s?) - six breasted love slaves. 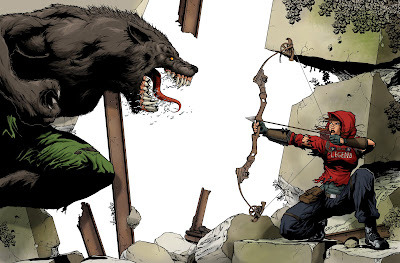 So what are you waiting for, get over there! Massive thanks to Leigh for being kind enough to let me plunder the Crotchtastic images. 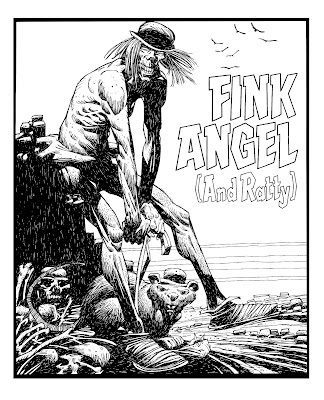 Kind as well as handsome, I'm sure he'd say!